Anna and I are losers. And we don’t want to be losers. We want to be winners. And you can’t be a winner if you don’t play the game. 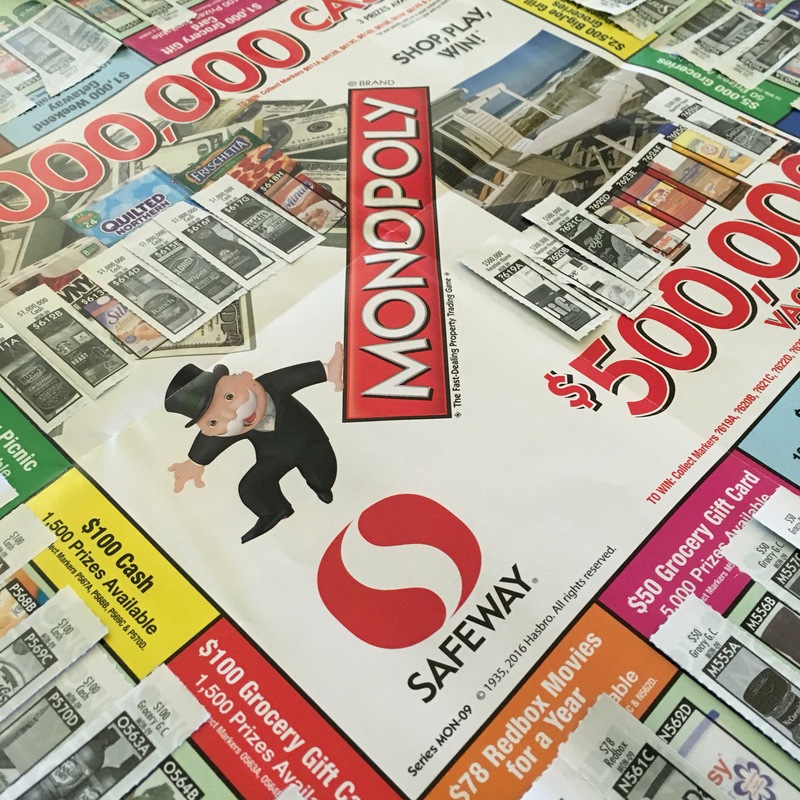 So last night we took up Safeway Monopoly. We bought 24 cans of Friskies cat food for our dying cat. And we got 48 Safeway Monopoly tickets. Safeway tells me that if I just buy enough Friskies and Poptarts, we’re going to be winners. We’re going to win a million dollars. And a big TV. And lots of other stuff. Last night we spent one hour tearing and sorting and pasting. Now the Lewis family is running the table. Because in the end we won 6 more tickets. And so we’re going back to Safeway to buy some more stuff and get even more tickets. And it’s just going to get better. We’re going to be winners. And you can be a winner, too. You and all of our country will no longer be losers and the rest of the world will stop laughing at us. In a few more days, I’m nailing Park Place. And I’ll have my Dawn Dishwashing Soap. And you just wait and watch as I build me my Trump Towers.